We can provide a variety of collection or packaging paraphernalia to make the actual user awareness of a recycling program more apparent as well as reducing any hassle involved in returning cartridges and mobiles. Undoubtedly the best way to minimize storage and transit damage to a used cartridge is to put it back into the original box that the new cartridge has just come out of, this is after all what the box was designed for! 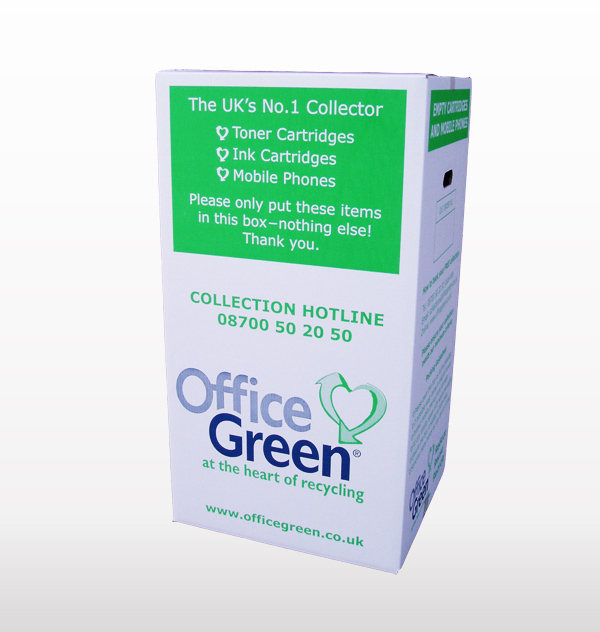 These original boxes, with used cartridges inside, can then just be collected ‘as is’ if your location is on one of our own Office Green vehicle routes*, or taped into bundles of about ten cartridges and collected by our contracted couriers. If you use a lot of cartridges then rather than bundle them together, please palletise them to a height of approximately 1.9m and we will organise collection by the pallet. 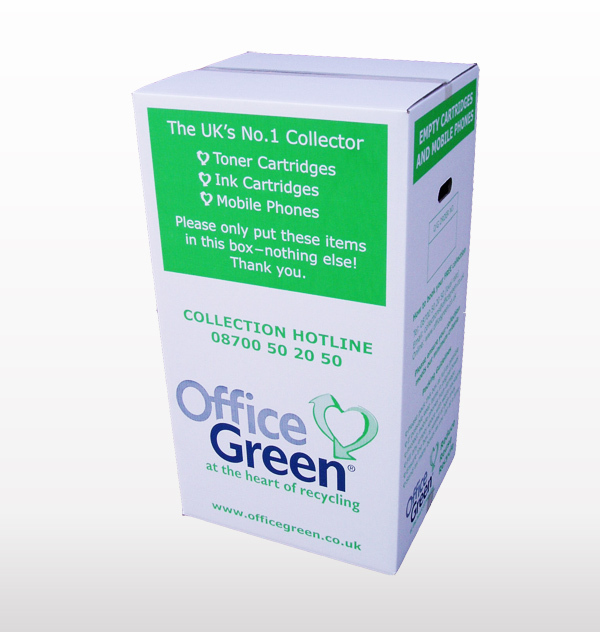 We can provide large and highly visible collection boxes for cartridges and mobile phones to be placed in. These collection boxes are strong and clearly printed for cartridges and mobiles. Many of our client sites use them within their actual office environments so users have a constant reminder to recycle as well as a convenient place to deposit any used cartridges or mobiles into. Large client sites often have a box on every floor of their buildings or centrally in the post room or warehouse areas where the cartridges can be collated and stored and multiple full boxes returned together. Please ensure your mobiles and cartridges are protected when in the box (i.e. packed in the original bubble bag the new cartridges or mobiles were received in) to prevent damage in transit as that will render them worthless. These collection boxes are approximately 50cm by 44cm and 84cm high. Please click here to see what our collection boxes look like. 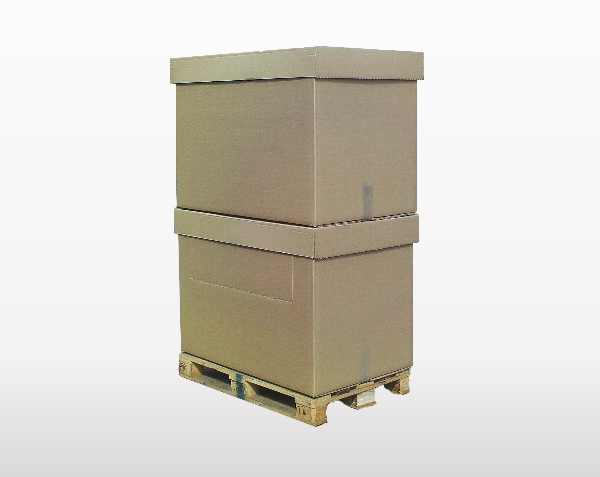 Large volume users that have a warehouse or loading bay facility that has room for a euro sized pallet may find it more convenient to store the cartridges in one of our bespoke pallet boxes. 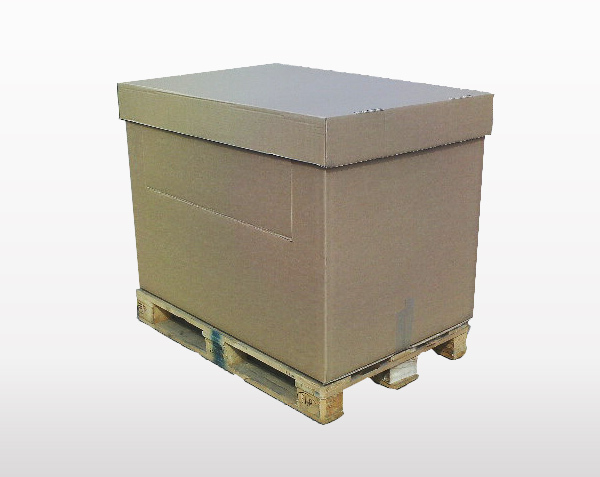 These large pallet boxes have a strong lid and drop down side for convenient access and designed to be stacked two high when full. They are made to fit on a euro pallet (120cm * 80cm) and are approximately 95cm high. Please note that as we pay for the floor space when collecting pallets if the pallets are not being collected by an Office Green vehicle then we need to collect a minimum of two of our pallet boxes at a time and these must be double stacked to create one single pallet which will be 2m tall. 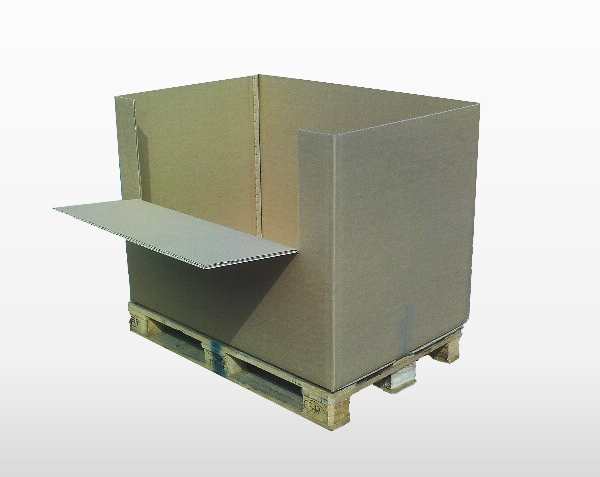 Please click here to see what our pallet boxes look like. Our collection sacks are simple, strong and large white plastic sacks similar to rubble bags. These are useful if there is not a convenient location for a collection box and if keeping the cartridges loose is undesirable. Please put the cartridges back in their original boxes and tape them up before putting in our collection sacks to prevent any damage in transit. Our freepost postal envelopes are suitable if there are only a few inkjet cartridges or mobile phones to return, please visit our Charity Bags section for information on how to use this service.